JBI offers the largest and the only comprehensive Library of Jewish interest (very broadly defined) in the world for those who cannot read standard print. 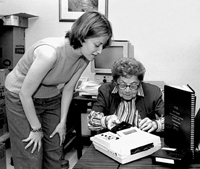 Since its establishment in 1931 as The Jewish Braille Institute, JBI International has made life more meaningful and much more pleasurable for many thousands of blind, visually impaired, reading disabled and physically handicapped individuals of all ages and backgrounds. 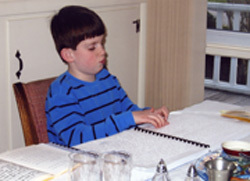 While other organizations provide the blind and severely visually impaired with rehabilitation services, JBI remains the only source for the books, magazines and cultural programs in Audio, Braille and Large Print that enable them to participate fully in educational and communal life. "I live alone and the talking books that I receive from JBI Library really brighten my day. It helps me to forget about my own struggles and health problems. Thank you for everything you do to help people like me who can’t see"